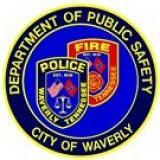 The Waverly Police Department is partnering with the Tennessee Highway Safety Office (THSO) for its fifth annual Seatbelts Are For Everyone (SAFE) campaign. This statewide initiative is designed to increase seatbelt usage and child passenger safety restraint usage through the implementation of occupant-protection programs, public events, and checkpoints throughout local communities across Tennessee. The SAFE campaign begins February 1, 2018, and concludes August 1, 2018. “We regularly see the difference wearing seat belts can make in preventing injuries. We encourage everyone to buckle up and use proper child restraint seats when driving or riding in a vehicle,” said Waverly Police Chief Grant Gillespie. 2018 will be the fifth year that the THSO has sponsored the SAFE campaign. In Tennessee, a disproportionate percentage of unrestrained fatalities tend to occur between the hours of 6:00 p.m. and 5:59 a.m. Historically, approximately fifty percent of Tennessee’s traffic fatalities are unbelted. That percentage increases to nearly sixty when nighttime crashes are examined. Therefore, participating agencies will focus special attention toward nighttime seatbelt enforcement during the SAFE campaign this year. Carjacking Occurs on Clydeton Rd. Monday, May 14, 2018 Carjacking Occurs on Clydeton Rd.